Last month, RBN Energy published a downloadable financial model for analyzing a Haynesville Shale well. 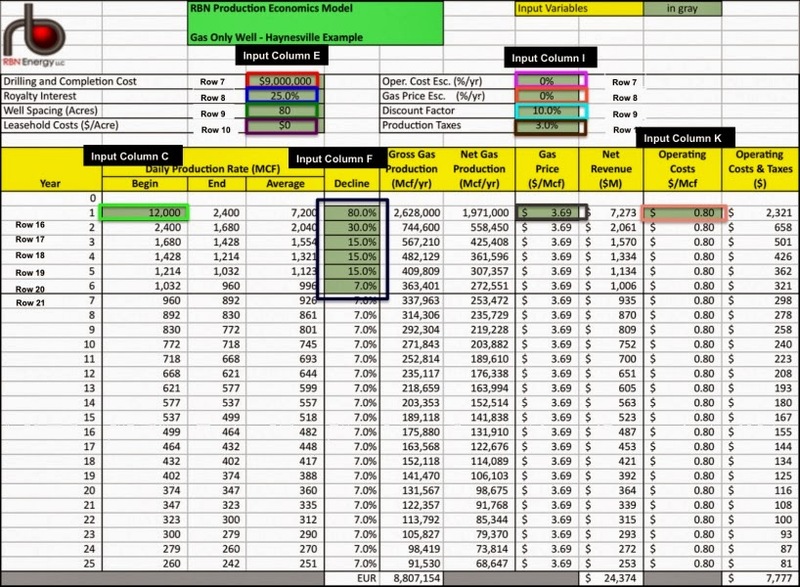 It's a basic discounted cash flow model that provides easy inputs and good basic output for those who want to know more about the economics of a shale gas well. Take a look at this article, which provides you the link to the RBN model. You do have to register at RBN, but it's free (although not immediate).